Once you’ve contacted us about a project, whatever it may be, we will typically review the information with you in person, via email, over the phone, or a combination of all three depending on the situation. On larger projects and full-scale restorations in particular, we will typically begin a process of full documentation of the vehicle before we begin. Another important step is an outline of the process we’ll be taking, and a roughed in calendar. Like any good historian trying to tell a story, building a quality archive of information is a requirement if you’re going to do justice to a story, and once we start working with you on your Porsche it’s up to us to build that story for the future of the vehicle. At Lüfteknic we are truly “dedicated to the preservation and development of the Porsche sportscar heritage,” and it’s a mantra we live by, not simply a tagline to our mission statement. Documentation, explanation, transparency. 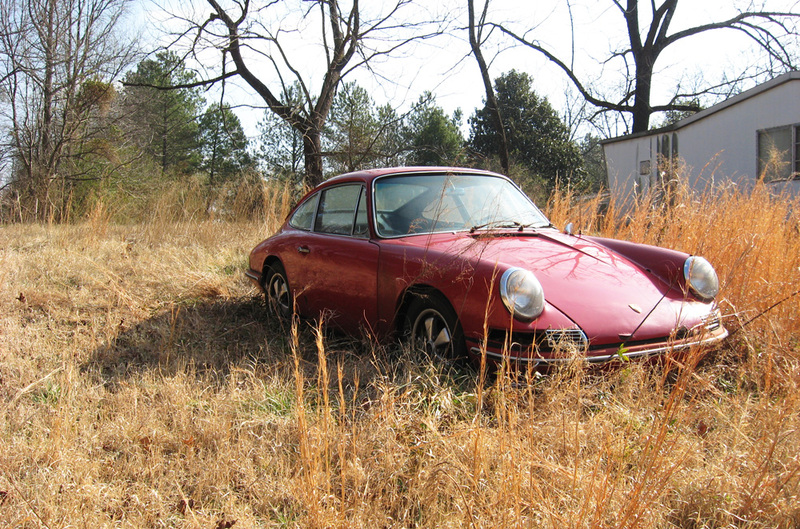 We are dedicated to not only improving, repairing and restoring Porsche cars, we want to let you know exactly what we did and why. Aside from the documentation during the repair, when you come to pick up your vehicle the technician who performed the work will typically go over the items of concern, such as any failed or replaced parts, and explain the details and address possible future concerns, repairs or ‘next step’ upgrades. 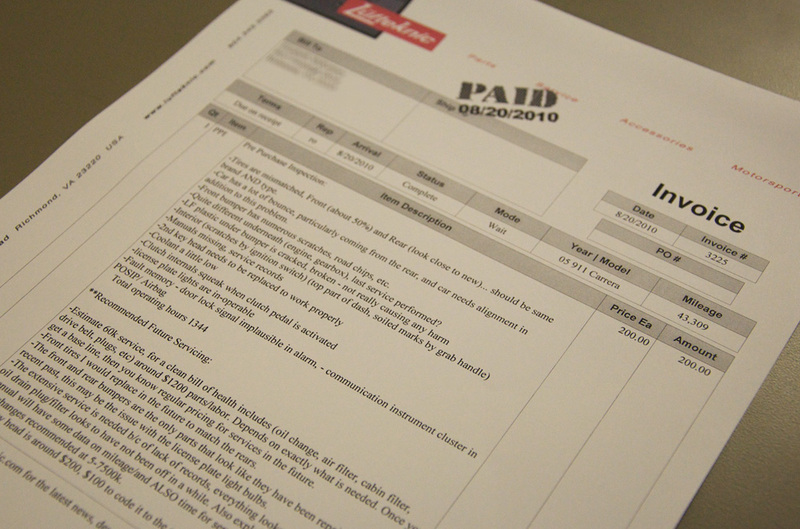 Lastly, all of our invoices will reflect the work performed with notations and information for you, or a future owner should you ever decide to sell. Typically this will cover parts used, tests performed and other items that will prove useful and eliminate guesswork on exactly what has been done, or has been noted for a future service. Vehicle service history is invaluable for the car, and any owners or caretakers it will have in the future. 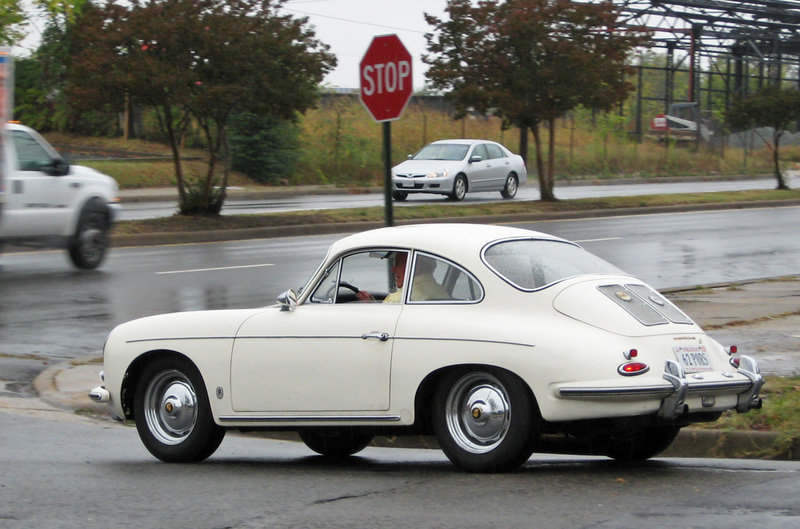 While not every repair or modification merits the same level of involvement, nor does every owner want to know every minute detail; on the whole a Porsche owner is more involved in the process of owning, maintaining and modifying their vehicle than the average car owner. A well informed customer has a better and more rewarding Porsche experience, and at the end of the day that is why we are here, to make today as good or better than the day you brought your Porsche home. The best way to get started on a project with Lüfteknic is to email info@lufteknic.com or call us directly, 888.356.2997. From there we can work with you on specifics of the job request at hand. Logistics of transport and delivery for those customers who are not local to the shop, baseline parts and labor estimates, time lines and other basic aspects are ironed out in advance, before work begins. As a small group of dedicated Porsche enthusiasts, Lüfteknic doesn’t approach the business of servicing, preparing and restoring Porsche cars with a cookie-cutter approach. Each car and owner is unique and receives the service and time they deserve. We prefer to think of our customers as an extended member of the family, and we have many who have been customers with us from the beginning. We look forward to speaking with you, and we hope you find the Lüfteknic way of doing business refreshing, no matter the tenure of your ownership, enthusiasm or age.